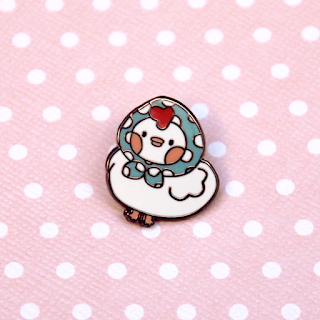 Have you gotten into the enamel pin crazy? Because I have. I honestly tried to avoid it for as long as I could, but when my favorite artist, K. Ryan, started making pins, I had to jump on board. 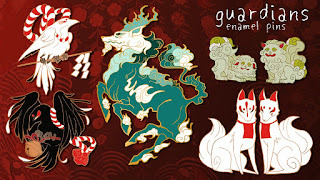 Today, not much is happening at home, so I thought I'd have fun and share some pins I like. First, check out the Guardians series by K. Ryan. 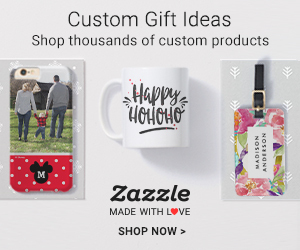 They are currently only available through this Kickstarter and are gorgeous! Of course I've already pledged! 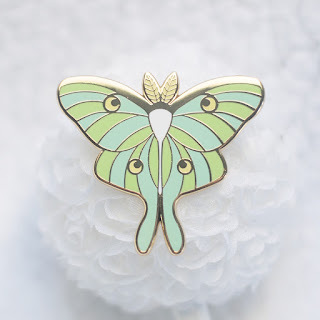 Look at this beautiful Luna Moth pin by Magan Baehr. I have one already, but you can preorder one for yourself. It's a beautiful statement piece. 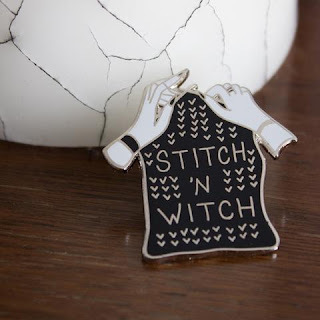 I just love this knitting pin by Bombasine. It's definitely on my "to buy" list. Sorry for calling it in on today's post. I promise you'll hear more about our family soon, when the children aren't being awful to each other every 15 minutes.